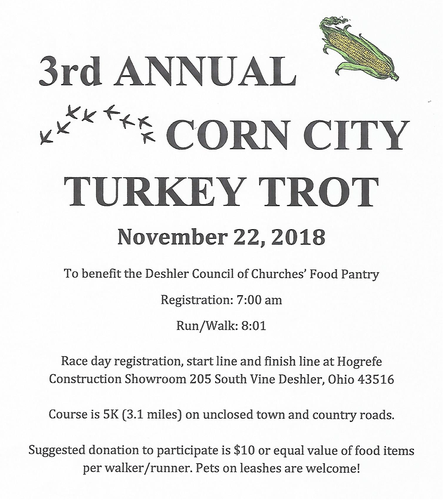 The 3rd annual Corn City Turkey Trot is Thanksgiving morning 8:01 November 22, 2018 at Hogrefe Construction 205 S. Vine St., Deshler. 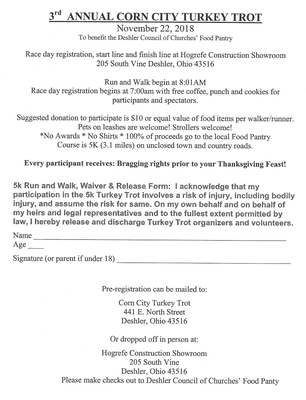 It is a 5K run/walk. Suggested donation is $10 or equal value of can foods. 100% of proceeds go to the local Food Pantry. Please see attachments for more information.